It’s more than one day, one holiday. It’s a whole season. It’s a season of family, friends, holiday parties, and full bellies and full hearts. Wide eyed children dominate the scene with wonder and innocence. Scrooges have their awakenings. Carols and eggnog fill the air (wait, that doesn’t sound right). We have our idyllic visions of the season. Chestnuts roasting on the open fire, couples cuddled under blankets on a sleigh ride. Christmas trees that stretch to the heavens with every light and colored ornament shining in brilliance. But, like most of the year, this idyllic vision doesn’t always match reality. Not everyone is happily humming Winter Wonderland. Not everyone will be Home for Christmas. Not every child is spying to see if reindeer really know how to fly. But, here’s the thing. You can do something about it. The Christmas season brings out the best in a lot of us. Giving to charities is at its highest during this time of the year. Neighborly affections rise to the top as well. For me, I believe that somewhere, deep down, our spirits connect to the true meaning of Christmas – the celebration of the birth of Jesus who sacrificed everything for us. He gave up his throne to show us a better way. He gave up his life to free us from slavery. And I believe that sacrifice still resonates deep within us. What’s my point? Where am I going with this? There is a lot of hurting in this world. Believe it or not, but this is also a season of extreme pain for much of the world around us. But, You can do something about it. John Lennon wrote a Christmas song that sang about the pain and war and the hate. It was a hope for better times. That the New Year would bring and end to the fighting. Many of us long for that, too. An end to the hate, to the fighting, to the racism, sexism, any -ism that pushes our neighbor down into the mud so we can stand on their back and feel superior. We long for it, but what are we doing about it? Do we keep hoping that “someone” will step in and save the day? Ms. Grant makes it very clear in the song above. Stop hoping for a miracle. Stop wishing that someone would help your neighbor who will spend this Christmas alone because their spouse passed away. Stop wishing that some state entity would provide children with warm coats and warm food. Stop wondering if there will ever be an end to the wars that rip this world apart. Be the One. Be the one who invites your neighbor over for dinner. Find the organization who is feeding and clothing the homeless or those living in poverty and give. Or, if you can’t find any organization doing something to help – gather your friends and family together and do it yourselves. Be the voice that cries out against war. Be the voice for those who don’t have a voice. Bombard congress and the president and the UN and everyone else with pleas to end it. Get everyone you know to bombard them, too. And don’t stop shouting until something is done. I’ve been far too quiet. I’ve been far too focused on me and my own. It’s time for me to be the One. How about you? Will you be the One? Share Christmas – and outreach of LivingBread Ministries – meeting the real needs of Children in need around the world. 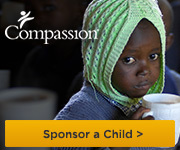 Compassion International – my favorite charity. Doing so much more in this world than I ever knew when I started supporting them. World Vision – probably the biggest organization on this list as far as impact. True, tangible changes in the lives of those who need it most. (right now, something is going on with the website. Scroll down after it opens for you to get to the heart of it). And there are many, many others. Give locally, give globally – time, money, whatever you have. And, if you don’t have, don’t be afraid to say “Hey, I need help”. Even if it’s just a need for someone to talk to, or listen. It’s hard to do, but liberating when you do.